People throughout Arlington, Chantilly, Alexandria, Centerville, McLean, Manassas, Reston, Springfield, Annandale, Sterling, Fairfax, and Falls Church, VA area know who to call for water heater repair and installation: Same Day Appliance Services. When a water heater goes out, the best case scenario is “no hot water in the house”… and the worst case can be a pool of water on your kitchen floor. If your water heater has gone out, do not delay—contact us for water heater repair and replacement, and we will be there the same day. Water heaters typically last at least a decade without requiring repair. However, just as time flies in other realms, it also does when it comes to home appliances. Before you know it, the water heater you bought years ago may be having issues that require repair. Thankfully, Same Day Appliance Services is available for quick and efficient—and reasonably priced—water heater repair in Arlington, Alexandria and throughout Northern Virginia. So if your water heater is noisy or your supply of hot water is not constant, or you are hearing a telltale leaky sound emanating from it that you are not used to hearing, do not ignore those signs. 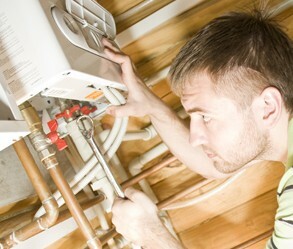 Contact us and one of our technicians will be on his way to diagnose and fix your water heater. We handle all major brands! Northern Virginia residents can trust us to install new water heaters when the old units are beyond fixing also. We consult with you upon arrival, to figure out what size unit works best for your needs, and we install the water heater very quickly—no upcharges, no wasted time, no padding of hourly rates for service. In addition to installing water heaters throughout Arlington, Alexandria, and other Northern Virginia communities, we also handle the removal and disposal of the old unit. No worries during any part of the water heater installation process when Same Day Appliance Services is on the job! Why are so many homeowners choosing tankless water heaters? Because they provide the advantages that 21st century homeowners demand. Tankless water heaters offer an inexhaustible supply of hot water, for starters—no need to worry about the water running cold during your shower before work! You can also save on energy costs with a new tankless water heater in Arlington—over time, the new unit will pay for itself with savings on heating bills. These safe and comfortable units afford savvy homeowners endless flexibility—and endless hot water. For more information on the benefits of tankless water heaters, or on tankless hot water installation in Arlington, Alexandria, and other nearby communities, contact us today! We get plenty of sun in Northern Virginia—and that sun can help heat up your water. Did you know that a solar water heater, when used as a supplementary water heater, can cut your hot water heating costs by up to 50%? While you may need a supplementary water heater during cold months or cloudy days, solar water heaters can do a large part of the job. Contact Same Day Appliance Repair to learn more about solar water heater installation in Arlington and surrounding communities. 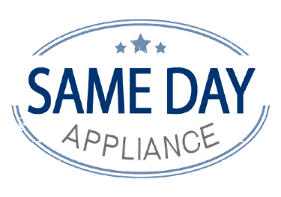 Contact Same Day Appliance Services for water heater repair and installation in Arlington, Chantilly, Alexandria, Centerville, McLean, Manassas, Reston, Springfield, Annandale, Sterling, Fairfax, and Falls Church, VA. Ask us about tankless and solar powered units!